There are numerous fitness passes and memberships available on the market these days. But all these passes just ask you to exercise, exercise, exercise. Take a yoga class here, jump into a crossfit session there, relax with some mixed martial arts — that’s pretty gruelling stuff. Where’s the reward in that, man? New kid on the block Yo! Fit Pass knows this, so it’s letting you carry on with your usual fitness regimen, and then have the great meal (albeit a healthy one) that you deserve. It seems to understand the need to make exercise fun, and have included a wide range of places for you to get your physical activities sorted. There’s a selection of dance classes like belly-dancing and Bollywood dancing that’s definitely a change-up from the the usual mundane gym sessions, and kickboxing, rock climbing and martial arts classes are also on the agenda for Yo! Fit Pass users. Users can sign up for up to 10 sessions per month simply by booking their slots online. For now, Yo! Fit does not have an app for access on-the-go but claims that they are very responsive to mobile booking on their website. The flexible plans available allow users to cancel or hold their memberships (as long as this is done at least seven days before the cycle renews), give Yo! Fit Passes as gifts, refer it to friends (and get $20 credit) — clearly, they’re aiming to change the minds of whoever said joining a gym was too daunting. All these perks can be enjoyed for $180 per month, with an earlybird promotion currently ongoing that will give new users $60 off their first month. 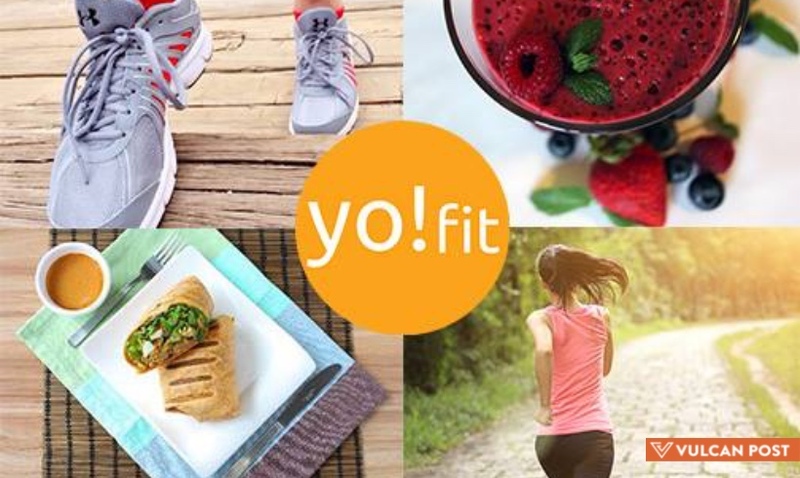 If you’re thinking of upping your fitness and healthy-eating game this coming year, Yo! Fit might be the pass you need. Besides, if you ever got out of an exercise session without thinking about food, you’re probably a robot. Or maybe just a very disciplined person.